“We don’t let racism exist because racism breeds extremism. It breeds some of the things that we, unfortunately, have had visited upon New Zealand”. New Zealand Prime Minister, Jacinda Ardern. In Australia, news of the murder of 50 innocent Muslims and the injuring of another 50 on the 15 March 2019 in two mosques in Christchurch by a coward Australian terrorist (Brenton Tarrant) who chose to murder children and adults on their knees in prayer, passed as a normal act of “white extremism” by “alone wolf”. It did not inspire fear among white Australians because the terrorist is white, and his victims were Muslims. Muslims have been demonised (nonstop) by the exclusively white (male-dominated) political establishment and very racist print and broadcast media led by the anti-Muslim Zionist Rupert Murdoch to nurture an environment conducive to racial hatred as part of U.S.-Zionist war of terror. Let’s begin with the New Zealand Prime Minister, Ms. Jacinda Ardern. Ms. Ardern has been at the heart of the international response to the criminal terrorist attacks, rising day after day to her terrible duty. Ms. Ardern proved to be above all Western leaders, particularly the racist and corrupt Australians, who are busy perfecting their false scare campaign – scapegoating refugees and fomenting hatred of Muslims and tapping into anti-Muslim sentiment for political and financial gain – to further their own political agenda. Ms. “Ardern has been a commanding figure of poise, compassion and strength, a textbook example to other world leaders about how to respond in the face of mass casualty terrorist attacks [on innocent Muslim worshipers]”, as The Sydney Morning Herald’s Nick O’Malley and Deborah Snow observed. The Prime Minister was overtly sincere, compassionate, responsible, and a unifying force. Prime Minister Ardern will do well to end New Zealand’s involvement in murderous U.S.–Zionist war of terror, including U.S.-imposed genocidal sanctions (economic warfare) that have killed millions of innocent Muslim men, women and children. Prime Minister Ardern is aware of the broad effects of U.S.-Zionist fundamentalism worldwide, including on Muslim-majority nations and the millions of people that this criminal enterprise has displaced, impoverished, terrorised, and murdered. The wanton destruction of Afghanistan, Iraq, Libya and Syria and the mass murder of millions of unarmed Iraqis, Afghans, Libyans and Syrians are barbaric war crimes committed by white extremists who remain unindicted war criminals. The coldblooded Australian terrorist who murdered innocent Muslim worshippers in Christchurch may as well have been a member of New Zealand’s Special Forces in Iraq or Afghanistan serving U.S.-Zionist interests. The Australian propaganda organ, the ABC has recently found out that, “racist extremism on the right poses just as much of a threat as the risk of Jihadi violence that has been such a steady diet of our national security discussion.” Of course, the “Jihadi violence” is nothing more than a manufactured threat designed to justify draconian law and policing power to spy on and terrorise the Muslim community. While most Muslim Australians, including women and children are on watch list, self-proclaimed white neo-Fascist like Blair Cottrell and his gang have been not only ignored but protected by authorities wherever they congregate to promote their neo-Fascist agenda. 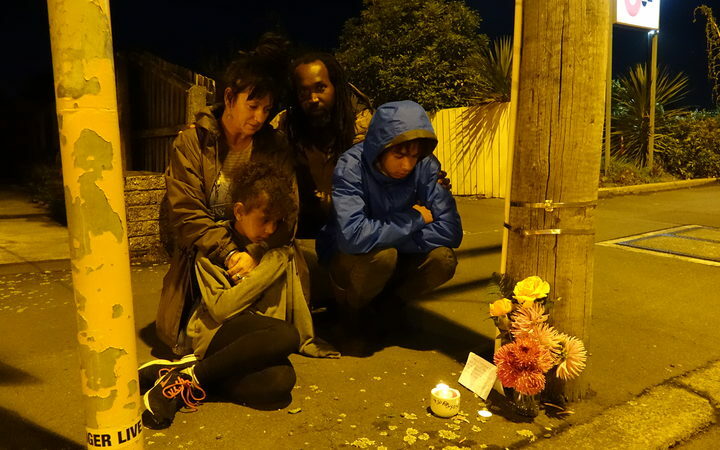 Terrorism against Muslims and its racist variants are real, but the police, and security agencies in Australia and in New Zealand are not concerned, because white supremacist terrorists will not attack white Australians or New Zealanders. “We know thanks to the findings of an inquiry by the State Services Commission last December that as many as a dozen government agencies, including the NZ Police, were too busy squandering their [unlimited] resources spying on NGOs such as Greenpeace NZ; political parties such as the New Zealand Green Party and then-Internet Party aligned Mana Movement, as well as on anti-TPP protesters and activists such as myself,” writes Suzie Dawson, a New Zealand journalist and activist. In other words, instead of monitoring and catching terrorists, the police and security agencies were “busy squandering” vital resource to criminalise dissent. In over 20 years, only five Australians have been the victims of alleged acts of “Islamic terrorism”, but most (if not all) of what is so-called “Islamic terrorism” were random crimes and false-flag terrorism perpetuated by the states that are complicit in U.S.-Zionist war on Muslim-majority nations. Its primary aims are, to demonise Muslims and Islam and justify draconian “terrorism law” to discriminate against Muslims, and to create a submissive and malleable Western public. The white Australian political establishment and print and broadcast media and many anti-Muslim academics, including the so-called “counter-terrorism experts” – who have been at the forefront demonising Muslims and Islam and promoting and normalising racism and violence against Muslims – tried hard to distant themselves from their countryman terrorist. White extremists, Christians and Jews are not supposed to commit acts of terrorism. The word terrorist is reserved for Muslims only. Despite the fact that the numbers of terrorist acts committed by white Christian and Jewish terrorists vastly outnumbered terrorist acts committed by Muslims, only Muslims are accused of committing acts terrorism. Hence, there is one standard for white Christian and Jewish terrorists and one completely different standard for Muslims. The Australian media, including Murdoch’s The Australian and Fox News have portrayed the terrorist a “lone wolf” – a label (like “mental health”) applicable to white terrorists only – who had “no contact with the rest of Australia” and showed no signs of maleficence. Australian journalists, politicians and counter-terrorism “experts”, alleged that the terrorist had grievances with “Muslims”. The Australian terrorist inspired by another white terrorists, Norwegian white extremist Andreas Breivik. The Norwegian terrorist murdered 78 innocent people, most of them children, in Oslo and in a youth camp on the Utøya in 2011 Norway terrorist attacks. Breivik was inspired by India’s violent Hindu Nationalism, the RSS. (For more on Hindu Nationalism, see Pieter Friedrich, Countercurrents.org). The Australian terrorist travelled extensively. He went to Turkey multiple times (March to October 2016) and the Balkans. Like his fellow Norwegian white terrorist, the Australian terrorist visited Israel for nine days in October 2016 – possibly for briefing and training – for which the Israeli authorities were unable to provide further details. It is most likely that the terrorist committed his acts of terrorism with the help of the Israeli Gestapo, the Mossad. The Israeli Mossad have committed acts of terrorism in New Zealand, including the use of forged New Zealand passports to commit acts of international terrorism and other crimes. It is most likely Mossad played a role in the Christchurch terror attacks. It is well-documented that all anti-Muslim/anti-Islam neo-Fascist and neo-Nazi groups and parties in Europe, North America, Australia and elsewhere have a strong collective affinity and openly collaborating with the religio-fascist State of Israel. They include, the Dutch Fascist Party for Freedom, the Fascist Progress Party of Norway, True Finns Party, France’s National Rally, Alternative for Deutschland , Hungary’s Fidesz party, Ukraine Azov Battalion, Britain’s Britain First and English Defence League, Australia’s One Nation, and Reclaim Australia, India’s Hindu Nationalism (Hindutva), the Italian Nord League and Five Star Movement, the Belgium’s Flaams Belang, Austria’s Freedom Party (FPÖ), Poland’s Law and Justice, among many others. Indeed, the Israeli fascist regime and its U.S. supporters, the Jewish Neocons (the crypto-Jews or crypto-Israelis), are actively pursuing alliances with every anti-Muslim neo-Nazis and neo-Fascist groups and parties around the world as a state policy to promote confrontation with all Muslim-Majority nations. It involves high-level political coordination and cooperation. In the case of the Ukraine in particular, Israel and the U.S. are supplying Ukraine with weapons as part of the U.S. collaboration with former Ukrainian Nazis. As the world’s-leading sponsor of international terrorism – second only to its U.S. financier –, the Israeli fascist regime seems to have problem with New Zealand’s ‘neutral’ foreign policy. New Zealand has played an important role in pro-Palestinian activism and supports the Palestinian aspirations for statehood despite strong pressure from Australia, the U.S. and Israel itself. How such a vicious criminal with money to through around where ever he went – from Australia to Europe, and from Turkey to Israel and back to Australia – could not be on a terrorism watch-list and was not the focus of the Police, intelligence and security agencies in Australia and in New Zealand remains a mystery? “It is especially doubtful [the New Zealand Security Intelligence Service, SIS] would be unable to detect him considering he was reportedly interviewed by New Zealand police prior to obtaining his firearms license in 2017”, writes journalist MaX Parry. The Australian terrorist is well-known on Facebook – with many threatening posts, including a picture of Al-Noor Mosque in Christchurch where he committed his first act of terrorism. There was no serious inquiry into whether he was part of a larger group, even though he had contact with Australian neo-Fascist groups. He has good connection with at least two Australian neo-Fascist groups, United Patriots Front (UPF) and True Blue Crew (TBC). A report from Austria revealed that the Christchurch terrorist had link with European neo-Fascist groups and has donated EUR1500 to the Fascist Identitarian Movement of Austria and to other neo-Fascist groups. Furthermore, the terrorist has a long archive of anti-Muslim comments posted on the now deleted Facebook pages of Australian neo-Fascist groups. The Zionist social media giant Facebook allows the spread of neo-Fascist anti-Muslim terrorist propaganda, but carefully monitors and bans any justifiable criticism of Israel. It allowed the Australian terrorist to live-stream (and spread) his barbaric acts of terrorism to millions around the world. No one should be surprised that the terrorist is an Australian. White “superiority” and extremism thrive on elite-enforced racism. From childhood, Australians – like most white Westerners – are fed a steady diet of racism, hatred, xenophobia and Islamophobia. By the time Australians reached adulthood, they are completely brain-polluted (believing in their ugly white “superiority”) with a distorted and racist view of Muslims and Islam. Only the brave few can escape this dangerous pollution. This deeply entrenched racism breeds white neo-Fascist terrorists, like the Christchurch terrorist. No one should expect anything good from people who elected John Howard, Tony Abbott, Pauline Hanson, etc. as their leaders. Moreover, when it comes to the so-called “Islamic terrorism”, Australia is one of the world’s largest recruiting grounds for “Islamic State”, IS (also known as ISIS) terrorists in Syria and Iraq. It is not a coincident that the Australian government’s anti-Syria policy is contributing to the increase in Australian IS terrorists. It is important to know that, in Australia there is no need to associate with right-wing/neo-Fascist groups if one prepares to attack Muslims. Islamophobia and violent attack against Muslims are becoming very common (and normalised) in Australia and across the world. The disease of Islamophobia has infected the brains of mainstream with no cure in place. Indeed, mainstream Australian politicians and the Australian media led by the extreme Zionist Murdoch Press, including the fake propaganda Fox News, played great role in stocking an atmosphere of Islamophobia which culminated the Christchurch terrorist attacks on Muslims. The Australian Prime Minister, Scott Morrison, ScoMo – who only recently blamed all Muslims for the random violent attack by a Somali-born Australian in Melbourne – condemned the terrorist attacks in Christchurch, calling the terrorist “an extremist, right-wing, violent terrorist”. But we know, Mr. Morrison had no option and obliged to join the international outpouring of condemnation of barbaric acts of terrorism by a white Australian. How couldn’t he, given the enormity of the heinous crimes of his countryman? Mr. Morrison is a well-known Islamophobe. He was one of the architects who erected the concentration camps for Muslim refugees on the remote islands of Nauru and Manus. And in 2014, Mr. Morrison proposed mass detention camps for 30,000 people. As shadow immigration Minister in 2011, Mr. Morrison had urged the Liberals (the Opposition) to seek political advantage in Australians’ anti-Muslim sentiment. Since his selection as Prime Minister by his “mates”, Mr. Morrison – in emulating the despicable Donald Trump – has been busy crawling to the Jewish Lobby to appease the Israeli fascist regime. Mr. Morrison acknowledged that Islamophobia was a problem in Australia and implied the problem could extend to some individuals within the Liberal Party, the neo-Fascist Tony Abbott, George Brandis, Barnaby Joyce, Bronwyn Bishop, the Chinese-owned Peter Dutton, and the garbage bag George Christensen and their gangs, to name just a few. There is nothing “Liberal” about the Australian Liberal Party. It is a Neoliberal-fascist oligarchy modelled on the U.S. Republican Party. Successive Liberal-National governments have been instrumental in fuelling Islamophobia and racism and permitting white supremacy to thrive under its watch. The bigoted John Howard was their anti-Muslims and ant-Indigenous Australians missionary, and they all love him. Under John Howard, anti-Muslim hatred and elite racism thrived and become the Liberal-National government policy. Furthermore, the Liberal-National Coalition has a storied history of collaborating with racist supremacist and neo-Fascist groups, including One Nation – a collection of criminals, neo-Nazis and paedophiles –, which is pursuing a Nazi-like policies towards Muslims and Indigenous Australians. One Nation party members have blamed the terrorist attacks in Christchurch on Muslims themselves and have earlier called for ‘final solution’ to the ‘Muslim Question’. The irony is that, One Nation is funded by the Australian taxpayers and enjoys the support of the Zionist media and major political parties, including the anti-Muslim and Islamophobic Liberal-National Coalition. When it comes to anti-Muslim racism and Islamophobia, there is little difference between Australia and New Zealand. This author has lived in both countries and has experienced ugly racism first-hand in both Australia and New Zealand. Christchurch and Wellington airports are as dirty racist as Melbourne and Sydney. Of course, Australia is much bigger with a well-documented barbaric history of white violence against the Indigenous people. A good example is the way Australia treats its Indigenous people compared with the way New Zealand treats its Maori people. Australia is also much more corrupt and backward than a relatively progressive New Zealand. In addition, Australia has always had many anti-Muslim and anti-Indigenous neo-Fascists in its exclusively white (male-dominated) political establishment than New Zealand. It is fair to say that, because of its proximity to Australia, New Zealand is infected with many of Australia’s dreadful diseases. As a justification for the U.S.-Zionist war on Muslims and Islam, many racist Westerners who have singled out and called Islam a “barbaric” and “alien” religion were mostly uneducated racists, con artists and criminals who are on the payroll of the Israel Zionists. They are deliberately trying to deflect attention away from the real barbarism, Western-Israeli barbarism. The U.S.-Britain aggression against Iraq, a majority-Muslim nation was the highest form of Western-Christian barbarism. During the occupation of Iraq by U.S.-British forces, vast numbers (3 millions) of unarmed Iraqi civilians, overwhelmingly, women and children, were imprisoned, tortured, raped and murdered. Indeed, the wanton destruction of Iraq’s vital civilian infrastructures was the most barbaric in the history of Western barbarism. The U.S.-sponsored ISIS and al-Qaeda terrorists followed the criminal scripts of their masters in Iraq and Syria. Yet, no one in the U.S. or in countries allied with the U.S. ever faced criminal trial for the barbaric war crimes that have been committed. However, throughout history, barbaric Christians and Jews, who committed genocides against Indigenous population have always called their victims “barbaric”. The ongoing barbaric genocide of Palestinians by the Israeli fascist regime is a case in point. The Palestinians are portrayed as barbaric and must be persecuted and “wiped out” of humanity. Just like many politicians and propagandists in the mass media, and neo-Fascist groups, the Australian terrorist was inspired by the ideology of neo-Fascism white supremacy. The Australian terrorist self-confessed to be a neo-Fascist (white supremacist), and in “his manifesto” refers to Donald Trump a “symbol of renewed white identity”. Trump promotes and elevates white supremacy and has normalised what Henry Giroux described as “culture of cruelty” and fear, which drives Liberals’ policy “rooted in an ongoing process of dehumanisation, rancour and racially-inspired hatred” of Muslims. There is no doubt someone else with much bigger brain than the terrorist wrote the manifesto. If the Zionists are capable of influencing and directing the President of the U.S., they can do what they wish with a coward Australian terrorist looking to spread hatred of Muslims. Trump’s anti-Muslim bigotry – guided by Zionist donors and Israeli fascist handlers – has done great damage spreading the disease of Islamophobia world-wide. It’s impossible to deny that, there is no link between the ongoing U.S.-Israel’s demonization of Islam and the rise of white neo-Fascist groups and the terrorist attacks on Muslim worshipers in Christchurch. The link is there for everyone to see. Furthermore, Muslims are unfairly accused of failure to “integrate” or “assimilate” into “mainstream” Western societies. A plethora of research show the opposite. Despite being ethnically, nationally, culturally and denominationally diverse, Muslim migrants are the most integrated minority in their new countries. According to Lori Peek, a Colorado State University sociologist and author of Behind the Backlash: Muslim Americans After 9/11, studies have found that Muslim immigrants have been among the most successful at integrating into our society. They value education, participate in our politics, and tend to live in diverse communities (Reuters). “Forty percent of Muslim Americans hold a college degree—compared with 29 percent of the population as a whole—and according to Gallup, one in three have a professional job. Muslim women are among the most educated in the country— second only to Jewish women—and work outside the home at the same rate as Muslim men. The gender gap in pay among American Muslims is smaller than that of any other religious group”, writes Joshua Holland in The Nation. The situation is not much different in Australia, despite marginalisation, and legalised widespread racism and discrimination against Muslims. It is very easy to attack and abuse Muslims and accuse them of failing to integrate. Because Muslims are already demonised and vilified by the political and media establishments. Further, Muslims are divided, and they lack strong leadership to stand-up for them when they need to. For example, the government manipulates and coerces the Lebanese Muslim Association to support its policies against the wider Muslim community, so Morrison can tell Australians in a photo opportunity: “I have many Muslim Friends”. Furthermore, anti-Muslim/anti-Arab racist propaganda – mostly in the hands of crypto-Jews and crypto-Israelis who control almost 100 per cent of radio, TV, film, daily and periodical print press – has become a career without qualifications. One could become a scholar in “Islamic studies” or an “expert” on Islam by attacking Islam and Muslims. But try to criticise or says anything legitimate about Jewish terrorism or about Israel’s terror in the Middle East and see if you have future left. In fact, being pro-Israel is a plus in many career fields. Muslims are also accused of “invading” Western countries, including Australia. It is an-anti-Muslim Zionist propaganda disseminated by the Zionist media and the Israeli fascist regime. Muslims are not invading the “West” and “changing Western ways of life”. It is the other way around. Western regimes led by the U.S. are invading Muslim-majority countries and destroying their livelihoods, enforcing Western fundamentalist (imperialist) ideology and denying the people peace and prosperity. It is only a small percentage of the millions displaced people and refugees who are fleeing U.S.-Western military invasion and aggression against their countries managed to enter Western countries. A substantial number of refugees have settled down and integrated into the mainstream of society. Muslim Australians are not in the business to change or destroy the “Australian way of life”, if there is such thing. I lived in Australia all my life, and I travel around the country very often. When I am in any major Australian city (e.g., Sydney, Melbourne, Brisbane), I never feel that I am in a Muslim-majority city or in a country “in danger of being swamped by Muslims”, as some neo-Fascist Australian politicians are claiming. There is absolutely nothing Islamic in Australia beyond the few small mosques scattered in the ghettoes-like outer suburbs. Australian major capital cities have more in common with crowded and congested Asian cities, like Mumbai, Hong Kong, Shanghai, Manila, etc. There is no such thing as “a relaxed Australian lifestyle”. It is a myth. A recent report from the Australian Institute of Health and Welfare reveals two-thirds of Australian adults are overweight or obese, men in particular. And one in five children aged 2-4 is overweight or obese, and it’s one in four in the five-to-17-year-olds, and the rates continue to rise. It is more like a very unhealthy life style than a “relaxed” one. In all major Australian cities, homelessness and rampant corruption are highly visible on every street corner. Most Australians are struggling to pay their debts (mortgages). The gap between the haves and the majority have-nots is widening by the day. Australia is a mong the countries with the highest rates of crimes, including high rate of sexual violence against women, paedophilia and drugs-related crimes. The two dominant groups of new arrivals (migrants) are Indians and Chinese. Wealthy people, including Chinese – many of them wanted for corruption charges in their countries – are buying their way into Australia. The Chinese bought most Australian politicians (Liberal and Labor), and with them they bought their permanent residency and the best properties in Australia. Anyone who dares to say anything legitimate against them would be labelled ‘anti-investment’ racist. Australian politicians have become de facto hirelings of wealthy foreign fugitives, crypto Jews (Israeli Zionists) and foreign corporations. As I describe in an earlier article, the Muslim community is a relatively small marginalised minority in Australia. Muslims make up roughly 2.6% of the total Australian population, where around 93% of the Muslim population is clustered in urban areas, where racism and the disease of Islamophobia are both, deeply rooted and institutionalised, and where Islam and Muslims are systematically discriminated against and demonised in the pro-Israel Zionist mass media [see here]. Like in many countries with Muslim minorities, the Australian government anti-Muslim “policies are designed to control the Muslim community, to ‘domesticate’ Islam, have put pressure on Muslims not simply to integrate into a ‘multicultural’ society but to assimilate by abandoning elements of their Muslim belief and culture in order to enjoy full participation in their newly [adopted] country”, according to a study by the University of Exeter in Britain [see here]. In other words, to be accepted in Australia, Muslims must convert to a new form of “Islam” created for them by the white Australian political establishment. Finally, Muslim experience also varies from country to country. For example, British law protects diversity in religion and practice, whereas in France the display of religious symbols, including the veil, is banned in most public institutions, including schools. Yet French Muslims tend to be less religious than British ones, and non-Muslims in France are happier to have Muslims as neighbours and more likely to marry one than the Brits who tend to be very racist towards Muslims. In Australia, freedom of religion is allowed in practice and protected to varying degrees through the Australian Constitution and Legislation at the Federal, State and Territory level. However, despite the legal protections that apply in different jurisdictions, Muslim Australians suffer discrimination on the basis of their religious belief which denies them the sense of true belonging and pushed them into isolated ghettoes with “higher rates of unemployment than the general population. … Despite their high levels of education, Muslims are less likely to work in the professions and less likely to be granted a job interview than the average Australian”. While they managed to flee U.S.-Western war against them in their countries of origin, they feel the endless war follows them. The U.S.-Zionist war of terror and its genocidal sanctions continue to kill many Muslims around the world. The Zionist media obsession to demonise Muslims and promoting Islamophobia is creating enemies on both sides. Only the dismantling of hatred that have been promoted to separate communities from each other will remove the purpose of terrorism, like the one visited upon Christchurch. Together, Muslims and non-Muslims can overcome social and political divisions.